Hey everyone! How's it going? I know, it's Monday. I'm not a huge Monday fan, but I've just been in a really good mood today. I thought our newscast went really well this morning, I had a cute story about a baseball team donating items to Haiti, and I made a good lunch. Yesterday I posted a BIG Drugstore Haul video... I know many of you out there like to watch hauls, and I feel they serve a purpose in terms of letting you know what I have. This way you don't have to ask and you know what a review or a tutorial is probably coming on! Plus it's a nice opportunity to share my initial reactions on products, or mini reviews. So if you haven't checked out my latest haul video, here it is! I hear from many of you who say you enter a drugstore, and you're just overwhelmed by the amount of different products, and you're just not sure how to approach the situation. I totally understand. When I first started buying my first few makeup products, I was very hesitant to branch out... it's really kind of scary at first! But at the same time, I have some viewers who have the opposite issue... they want everything on the shelves! So in this blog I wanted to offer some tips to improve your drugstore experience. Don't buy from the first brand you see. As you browse the aisles, you may instantly see something you want, let's say... a great smoky eyeshadow palette. Before you get your heart set on purchasing it, take it with you and compare it to similar items from the other brands. Is there a better deal? A better packaged product? A product with even better shade selection? It may take a little longer, but comparison shopping can be the difference between buying a new favorite product and something that will sit untouched in your makeup drawer. Bring a foundation that is a close match. One of my most frequently asked questions is: How do you find the right shade of foundation in the drugstore? Since you can't swatch the colors, I think you need to bring a foundation from home (in the jar/container) that is a close match. If the shade you own isn't quite right, all you need to know is what's wrong with it-- then you can find something slightly lighter, or slightly darker. Finding the right shade is only half the battle- you also need the right formula. This is based on skin-type. If you have oily skin, look for foundations that claim to be "oil free", "shine free" or "matte". If your skin is dry, look for foundations that claim to give a "luminous" look, or have a "moisturizing" or "hydrating" quality. Those are all common buzzwords when it comes to foundation. Now and then, try something totally different. Never tried a red lipstick? Or green eyeshadow? Or bronzer? The drugstore is the perfect place to experiment. 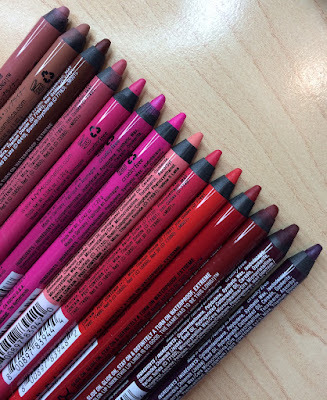 There are many ultra low-cost brands like N.Y.C., Wet & Wild, or Jordana that have a nice selection of shades... but the products are very inexpensive. If you don't like it, you aren't losing a lot of money, but you have the freedom to experiment and find a potentially awesome product that looks great on you! You won't know if you don't try. So now and then, pick up something you've never tried before! Make sure you get your deal. Many drugstores will have "buy one get one free", or "buy one get one half off" deal, or any type of discount on beauty products. No offense to Walgreens or CVS or any type of drugstore (I got nothin' but love for the drugstores! ), but now and then, I've gone through the check out and later glanced at my receipt, only to find that I bought 2 instead of getting one free. Or I paid full price when it should've been 75% off. There is nothing wrong with saying, "I'm pretty sure there's a bogo on these"... to the clerk, or just ask if there is indeed still a deal. Sometimes the deals are over and they forget to take the little signs down in the aisles. When you go to Walgreens, you can see on the little screen if the "BOGO" went through when a product is scanned. We sometimes have to be our own watchdog when it comes to these deals. Research online and take notes. There is a WEALTH of makeup knowledge on the internet. If you see a commercial on TV and think, "man, that looks cool! But I don't know if I want it"... look up a review online! Not to toot my own horn, but I have dozens and dozens of reviews on drugstore products, and lots of "Shopping List Ideas" videos and hauls and "Emily Awards" that give honest, straightforward info on products. If you see me give something a strong review and it's an item you think you might need, jot it down on a notepad! Also, if people ask me about a product that I haven't reviewed, I'll often refer them to a site called Makeup Alley. There are tons of reviews there, but the site always averages the grade that the products recieve so you can quickly see if a product was great, average, or bad. I'm offering this tip as "drugstore" advice, because there's often nobody there in the makeup aisle to describe a product to you like there is in a department store- so it helps to go to the store prepared. Hope you enjoyed these tips! Let me know how your next trip to the drugstore goes! Have an awesome day everyone! I realy like how you help others trow your blog and videos on diffrent drugstore broducts and tipes. Now when I was reading this blog post, I realized that there are some things that are very simmalur from the states and canada and other things that are diffrent. In canada, if you saw a product listed for a certin price(on the shelves) and then you go to the cashregater and its not at the price that it says you have the right to say something about it plus, they have to fallow the mechadise law that says "if it has a diffrent price tag on the shelevs then in the computers, then the retailers have to give it at the price that it says on the shelves or take off 10$ if the item is over 10$ and free if its below 10$". OF course that each contrurys have diffrent law and rules, the best bet is to check online and see what are the law for retailer to costumers. hey emily i was at the drug store and i saw a foundation by Lorel that had a roller applicator. is it reaslly better than brush or hand application? @emilieb84's comment: Not all states have laws like the Canadian merchandise laws, but most retailers will give you the price on a sign. If it comes down to selling it at a lower price or not selling it at all, they'll sell it. So don't be afraid to point out the error EVER! omg!! i totally agree with the bogo deals! i was at cvs on time and i bought a bunch of products, and the first time they rang everything up the charge me full price!!! And i was actually showing the manager that i was right, i was buying things on sale and wasn't charge properly! I'm just curious. 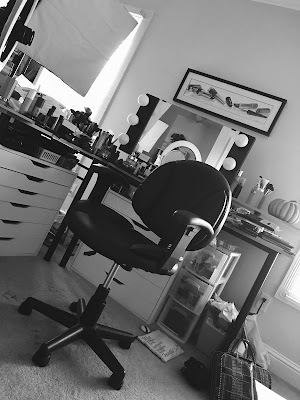 Can you tell a difference in the high end vs. drugstore stuff when you are actually using it? Have you consider doing a turorial on how to wear you makeup when going to a beach wedding?... i actually have a beach wedding in march and have no idea on what type of products should be use if its hot or not, or what type of colors, and if you should use bronzer. can you help me out please. I think that this post certainly is helpful for many girls/women out there. Thanks for sharing your knowledge with us. Thank you so much for the reviews! I hate wasting money on make-up that just isn't for me. Something I do .. grab a Sunday paper for the inserts (or I think you can get them in the store) and kinda plan your attack. Also .. make friends with the cashier in the beauty section at Walgreens .. the one in my town does an AMAZING job of keeping coupons & helping you get the best deal. She is awesome. One time I got $60 worth of products for about $15. Aww, I really like the Maybelline Baked Shadows! And you're right about the sales - I'm a Senior Beauty Advisor for Walgreens and a lot of times our sales need to be fixed, so, it's nice to have a customer help me discover this! Absolutely true...it is essential to make sure you get the deal...and if you know the right components to the product can check the back of the product. I'm a beauty advisor at Walgreens and I can explain the sales price mix-ups. New sales aren't activated in the system until the evening. Sales technically start on Sundays with the new ads, but tags go up Saturday so you can get the sale price that day. It may not be activated yet and, since the cashier probably hasn't seen the new ad, your cashier probably isn't aware of the new sale items. Kindly mention that you saw a sales tag, your cashier will get a price check, and he or she will adjust the price accordingly. Another shopping tip: It's a good idea to check out at the cosmetics counter. Your BA will know the cosmetics dept sales better and help you get the best deal. More importantly, different companies will give us exclusive COUPONS to keep behind the counter that we're happy to share with you!! For the first time in my whole life I shopped the make-up at CVS! Normally I get so overwhelmed that I don't' even try. You videos have really helped me sort through all this stuff. THANK YOU! Question for you Walgreens employees.. what is the return policy on cosmetics? I usually won't return them because I figure once they've been used -- you obviously can't bring them back .. but Wal-Mart will let you exchange it for store credit..which I usually purchase a replacement product with. I prefer shopping at Walgreens because it's usually a lot neater and you can find a bargain .. Cheers for the info. It was a good read. FYI if they have a sign up stating buy one get one free but the promo is over they are legally obligated to give you that product for what the sign states, unless there is a end date on that sign, it falls under the false advertisement law. To those who are walgreens beauty advisors, i'm looking for a revlon products handbook that is given to the walgreens beauty advisors.I collect revlon books. Take advantage of discounts available at selected online drugstores. I also wants to implement this 5 beauty tips for my own. Please help me. Your article on "5 Tips for Drugstore Makeup Shopping" is very nice. I will try your tips. I am really surprised to read this tips on makeup shopping.. I also wants to do this things while shopping beauty products online. thanks emily this was really helpful to me i love reading all ur things and i love ur videos too. I am really happy to read your website regularly on makeup tips. Jabong.com is a young and vibrant fashion and lifestyle online store. Enjoy free delivery on shopping for any amount. Jabong delivery time will not take more than 48 hours. So get set go. Happy Shopping. Online Shopping -A good option if yo want to save your time or money. I accept all these 5 tips are very useful for drugstore makeup shopping. This blog is very informative.I always shop beauty products online to save my time.